How Do We Plan After the Valuation Discount Rules are Officially Changed? On August 2, 2016, the Treasury released Proposed Regulations affecting valuation discounts. 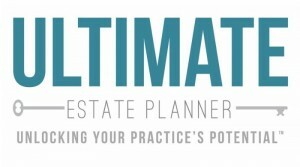 One week later, the Ultimate Estate Planner and Bob Keebler and Steve Oshins gave a 90-minute presentation - - that broke our attendance record - - detailing the Proposed Regulations and describing some of the techniques that can be used to plan around the these new rules should they become Final Regulations as currently written. And, now, after studying the new Regs further and receiving numerous requests to expand on their previous discussion, Bob and Steve have agreed to hold a follow-up teleconference. Whether you’re an attorney, an accountant, a financial planner, a life insurance advisor or a trust officer, this updated presentation will give you the knowledge necessary to know EXACTLY what to do when the Final Regulations are issued. Join us along with attorney Steve Oshins, AEP (Distinguished) and Bob Keebler, CPA/PFS, MST, AEP (Distinguished), CGMA for a plain-English, straightforward presentation titled, “Viable Estate Tax Reduction Techniques after the New 2704 Regulations Become Final (An Update)”. Includes: Immediately downloadable handout materials and MP3 audio recordings. 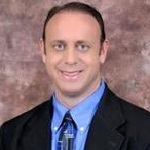 Steven J. Oshins, Esq., AEP (Distinguished) is a member of the Law Offices of Oshins & Associates, LLC in Las Vegas, Nevada. He was inducted into the NAEPC Estate Planning Hall of Fame® in 2011. He has been named one of the 24 “Elite Estate Planning Attorneys” in America by The Trust Advisor and one of the Top 100 Attorneys in Worth. He is listed in The Best Lawyers in America® and was named the Las Vegas Trusts and Estates Lawyer of the Year in 2012, 2015 and 2018 and the Las Vegas Tax Law Lawyer of the Year in 2016. 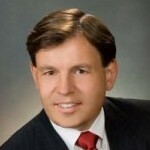 Steve has been very active in helping get some of the most valuable trust and creditor protection laws passed in Nevada including the 365-year Nevada dynasty trust law, the charging order laws for Nevada limited liability companies, limited partnerships and corporations and the Restricted LLC and Restricted LP laws allowing for larger valuation discounts than any other state allows.